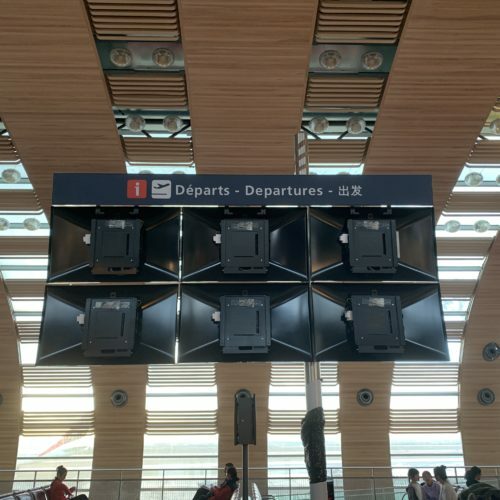 ✅ Trip Verified | A run down difficult airport, poor signage, outdated lifts and other equipment, France is well behind the times in terms of IT, technology and custom service and CDG captures all of that and sums it up in one big ugly outdated slow mess of a national airport, unacceptable, France need to get their act together. 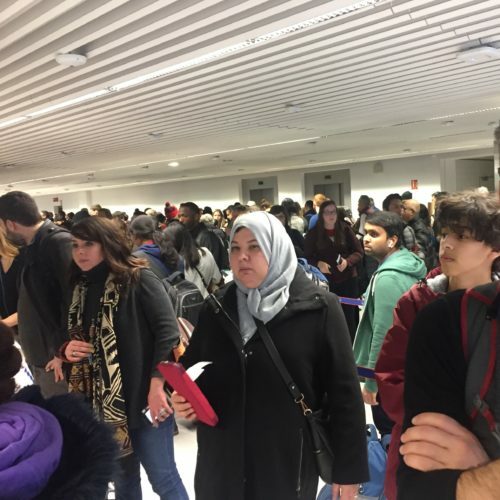 My major problems were the ridiculous passport clearance, on the automated passport checks they had 3 broken ones and only one functioning, then a bunch of people all funnelled into a few lines. It took over 2 hours to get through at 7am. Simply unacceptable and pathetic for such an international airport. The shopping is rather abysmal for a major airport, especially of a city with Paris' s reputation. The departure gates are acceptable, but the arrival gates are hideous and tedious getting through security. The staff don't give a damn to make things even worse. The rest of the airport is just awful and depressing, what a horrible first impression of Paris people get. Not Verified | The security check was far too slow. It wasn’t even particularly busy. For a big major airport, the whole system was very time consuming. The slowest airport I have been to. Lack of restaurants for the terminal we used 2e. The whole experience at the airport was poor for nowadays standard. Very disappointed. Not Verified | The staff at this airport are uncaring, nasty, hateful and mean. We were a family of 12 trying to stay together in a foreign country and they did all they could to keep us apart. I will never fly through this airport again. Paris was wonderful but the people working at this airport are ugly and mean. "don't judge a nationality by a person's face"
✅ Trip Verified | The airport has undergone huge renovation and there were many hoardings inside the terminals. It was good that they have ground staffs to inform us our gates and which way to go. One minus point that I experienced is that one staff told the passengers according to their nationalities which checkpoint should they go. Unfortunately she decided only by my face to go to "other passport holders" while I have EU passport. I thought she must be correct because she works there, so I followed her instruction only to see that EU passport can be checked automatically as it normally did. Then I returned again to her to say that I'm a citizen of an EU country. Please read carefully the passport you're checking, don't judge a nationality by a person's face. I'd like to see the airport again once all the renovation is done and I'm sure it will be much better than now. 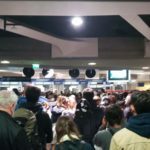 "1.5 hours to cross immigration"
Not Verified | This airport experience was the worse I’ve had. We had to queue over 1.5 hours to cross immigration (luckily we had enough time between flights, and also our flight was delayed), as there was only one officer. I am sure today many people missed their flights due to this. An unacceptable experience. The crew working for the airport didn’t seem to care or do much to alleviate or communicate about the situation. Also, the croissant we bought afterwards wasn’t properly baked. A pretty bad day. Not Verified | It is a disaster airport. What a shame for France. No seats available. Could not get smoking area. Not enough shops and restaurants. The queues are too long and we get tired with no space to relax. 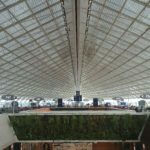 "excellent shops, restaurants, airport lounge"
✅ Trip Verified | CDG, in my case, did far better than what seems to be its general reputation. My itinerary was GOT-CDG-DTW. The Hop! flight arrived at terminal 2G, and I had the imipression "we're going to need to take a bus to the terminal." Not so - walk down the stairs from aircraft and just a few steps to the terminal door. Then down long, drab concrete hallways (an infirm person might want a wheelchair service) to passport control to leave Schengen area. Passport control officer courteous, time waiting in line to clear this control < 2 minutes. Well-organized buses, good signage, to ride to terminal 2E, gates M. In that concourse, excellent shops, restaurants, airport lounge (SkyTeam). At gate for departure to DTW, I was randomly selected for extra screening. In sharp contrast to TSA, I was graciously offered a chair to sit on while taking off my shoes and putting them back on. This screening took 5 minutes. Aircraft needed de-icing, and that operation was efficient (< 10 minutes) - we arrived at DTW early. 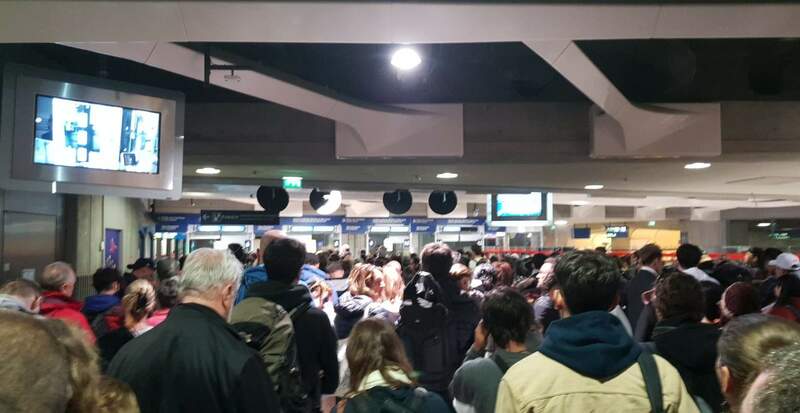 "Security was also painfully slow"
Not Verified | Only Depensar in Bali is worse than CDG. The staff are mostly rude and you have to exit security to change gates even when connecting flights. Security was also painfully slow considering there was only 1 person ahead of me. Toilets were disgusting and only one was cleaned in the 12 hours I was at terminal 2E. Also, I paid for Starbucks with USD, which meant change was given in Euros (understandable and fine with that) - however, the price was more than double the exchange rate! I don't know how they justified $14 for a small cappuccino and the staff were rude when I queried it. "avoid this airport whenever possible"
✅ Trip Verified | I don’t want to exaggerate and say this is the worst airport I’ve ever been to. Buenos Aires is probably worse (2+ hr immigration queue). Lagos isn’t great. But, essentially, avoid this airport whenever possible. Immigration queue is incredibly disorganized and takes forever. Terminal transfer is done by bus and requires multiple transfers, multiple stops (over 30 mins to get from Terminal 1 to 2E, gates K). Probably the most mind numbing is that areas within the same terminal are not connected behind security and require bus connection. For example to get from Terminal 2E, gates K, to Terminal 2E, gates, you need to exit security, take a bus to gates L, re-clear security, take another bus, and then you’re back at 2E, gates K. Talk about insane! Oh and they seem to have removed the departure screens (see screenshot). 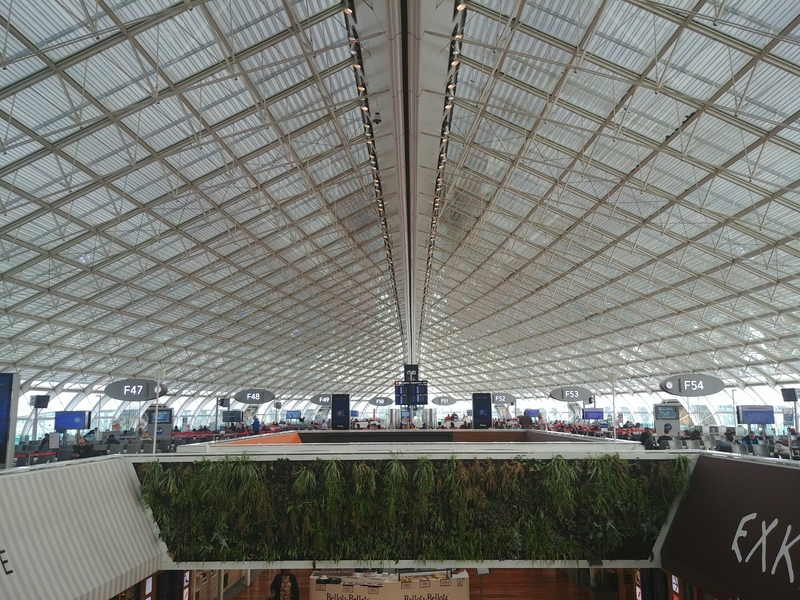 Like I said- if you can transfer at Amsterdam, Frankfurt, or even (gasp) Heathrow, please do yourself a favor and choose that airport over CDG! "always a pain to be had"
✅ Trip Verified | This is always a pain to be had at CDG. I always feel this aiport so cold and unfriendly. So big and when you have delay so uncomfortable. It is hard to find a plug when you are low on battery and toilets are dirty. Nevertheless it is quite easy to find airline's counters. Biggest Airport in France and the many international flights for French are here for departures.